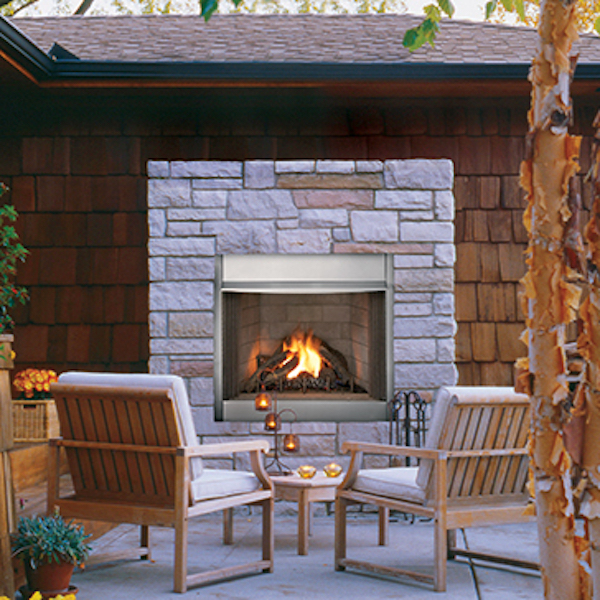 The pleasure of an outdoor fireplace, the contemporary look of stainless steel, and the ease of vent-free come together in the elegant Astria Polaris gas fireplaces. Enclosed pan tube and hidden burner ports deliver tall (17″) dancing flames with a deep red glow for the ultimate in fire realism. Battery backed-up intermittent ignition ensures reliable operation–even during power failure. Maximum 50,000 BTU output (Natural Gas) and 46,000 BTU (Propane), can be controlled through a turn-down valve for precise flame height and heat. Large stainless steel fire grate complements the overall appearance and provides durability.